If you’re thinking about having a hair transplant, then the likelihood is, you’ve been looking around the internet to see who else (famous) might have had one. Or, if you’ve already had a hair transplant procedure and you’re feeling a bit conscious about it, don’t be. Take some comfort from knowing that some high-profile celebrities have had successful hair transplants. Sports personalities, Hollywood movie stars, models and celebs from the music world, have all gone under the hair surgeon’s expert knife. 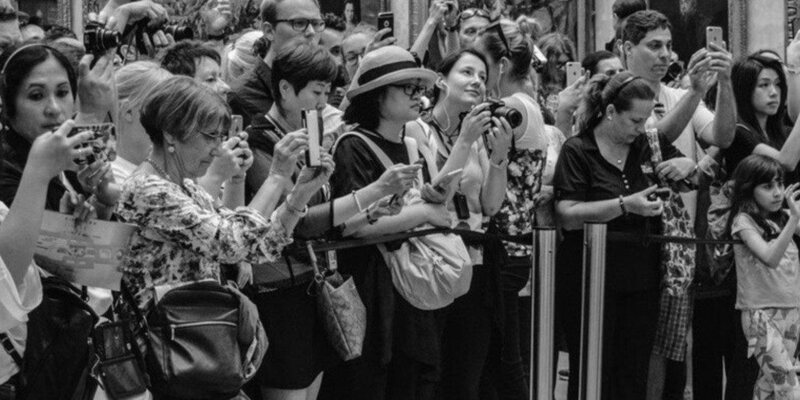 So it just goes to show, that fame and fortune doesn’t mean instant self confidence and happiness, it means that they, just like us, have hang ups that they wish to correct. And a hair transplant is no longer the preserve of the rich and famous. With clinics such as ours, this complex procedure is now available to a far wider audience or ‘normal’ guys, and that includes you. 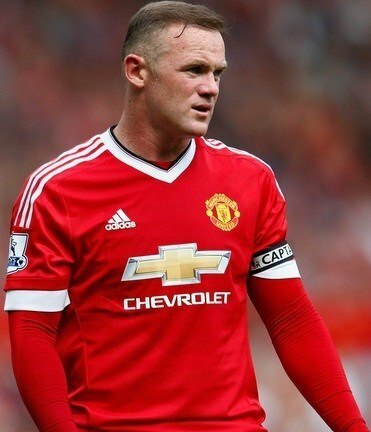 Not the first guy to have had a hair transplant by any means, but English football star Wayne Rooney was certainly the first to put the procedure into the mainstream. Wayne had his first hair transplant in 2011 and since then it’s rumoured that he’s had further treatment (a second hair transplant is perfectly normal as male pattern baldness continues and spread across the scalp). And whilst we don’t condone the name calling and banter he got from his teammates (or the public), we’re extremely happy that he had the confidence to own his decision and tell his fans about it. There’s nothing like a big public figure normalising something to make anyone else worrying about it feel less awkward. We salute you, Wayne. 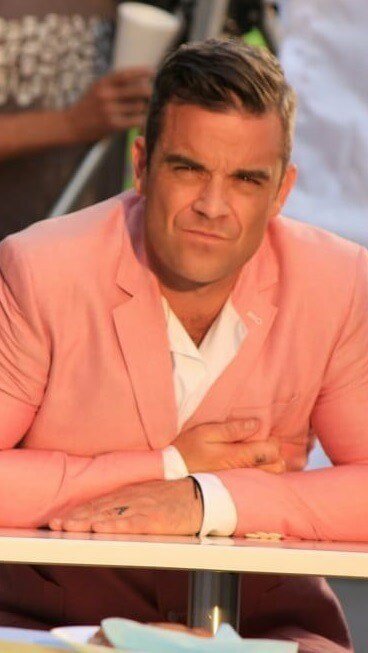 Singing star Robbie Williams has bizarrely admitted to having had a hair transplant, despite, in his own words, not needing one. Perhaps he had one because he was in LA and felt he just had to, perhaps he was bored, as some press have reported, or maybe he had one to simply thicken the hairline he already had. After all, with his dark hair and white stripe at the front, it’s a distinctive hairline that he probably wants to keep. Who knows. All we do know is that like all our other gents on this list, he’s making opting for an elective surgical procedure like a hair transplant as mainstream as a breast enlargement or liposuction is today. Another amazing singer in our hair transplant hall of fame is Sir Elton John. He had his hair procedure in the 1990s, way before Wayne Rooney even lost his hair. 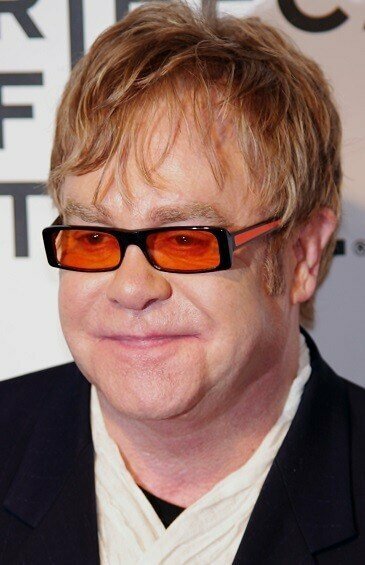 But for some reason, when we talk about hair transplants, Elton John doesn’t often come top of the list. Maybe because it was so long ago that we don’t recall him as anything other than wonderfully hirsute. Although a quick look back through time reveals that he was mocked at the time. Probably because the procedure wasn’t very well known back then. But good on him for going ahead with what was then a very new procedure and undoubtedly of the FUT or strip kind of hair transplant. It’s thought he underwent the procedure after seeking treatment for alcohol and drug abuse. With his new found mental freedom and weight loss at the time, why not top it all off with a new and fuller hair line? 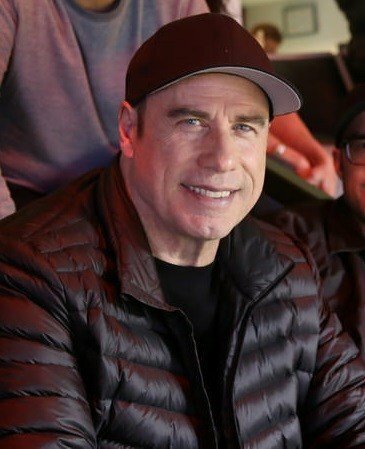 Hollywood legend John Travolta has often been spotted wearing a hair piece, and it’s no secret that he’s losing his hair. But has he had a hair transplant? We can’t know for sure, as he’s never publicly admitted it, but it certainly appears so. Either way, we don’t mind, but we do know that he looks great for his age. Whether or not top Hollywood actor Jamie Foxx has had a hair transplant or not, the speculation alone proves that it’s not just for Caucasian or Hispanic hair. Afro Caribbean hair is just as suitable for a hair transplant. 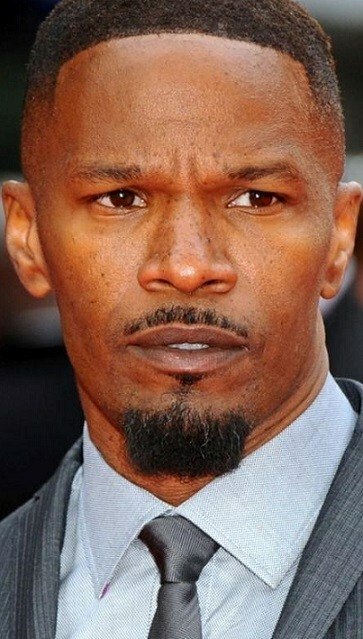 The evidence pointing towards Jamie Foxx having had a hair transplant doesn’t just lay in his change in hairline from receding to full around 2007 when he had just turned 40. Another well respected Hollywood actor, another mystery surrounding the truth behind his hair. 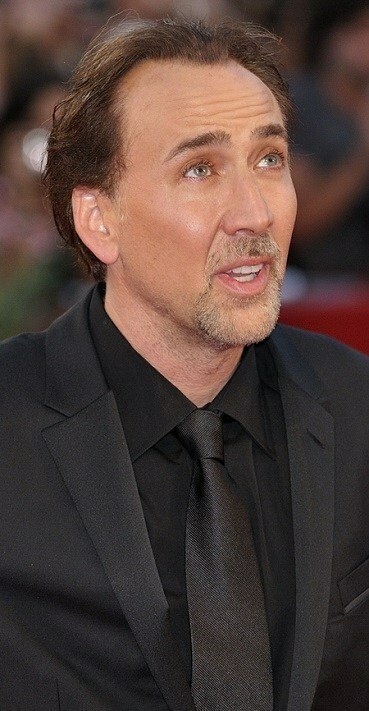 It’s rumoured that Nicolas Cage may have had a hair transplant some time in 2011 but we’re not so sure. An expert eye can see a definite change in thickness, but his actual hairline doesn’t appear to have changed too dramatically. You can achieve an amazingly strong hairline with an FUE hair transplant and we’re not convinced Nicolas Cage has had one. 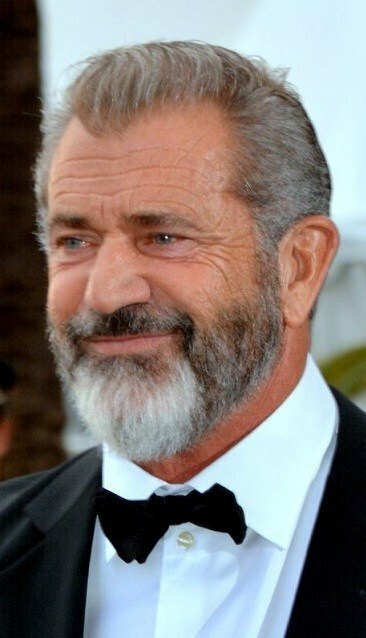 The hair line of movie star and Hollywood legend Mel Gibson has been the subject of hair transplant rumours for as long as we can remember. Various top hair transplant specialists have given their expert opinion over the years and they all certainly seem to agree that it looks like this famous hair line has been surgically enhanced. But as with anyone who neither confirms, nor denies a surgical procedure, we guess we’ll never know for sure. But we can be sure that he certainly does have a good head of hair for a man of ageing years. 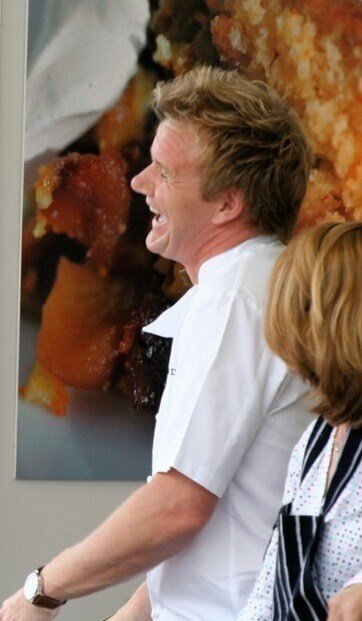 Top British chef Gordon Ramsay took to Los Angeles to have his hair transplant procedure in 2011. Like for many men, it’s thought that he’s had subsequent procedures since then. And he now has a fabulous head of blonde locks! Unfortunately for Gordon, he experienced some facial swelling after his first hair transplant, a fairly common side effect that looks more alarming than it is. It can be caused by an allergic reaction to the anaesthetic used. As with all reputable hair surgery clinics, all our surgeons are trained in what to do if this happens during a procedure and isn’t something to be too overly concerned about beforehand. Spanish tennis legend Rafa Nadal underwent a hair transplant procedure in 2016 when he was 30. Rafa’s hair had been the subject of taunts on the tennis circuit for a while, with even British tennis player Andy Murray tweeting his ponderance over who would completely lose their hair first out of the two of them. Rafa has reportedly had the FUE hair transplant procedure, the same procedure as fellow sports star Wayne Rooney, and the same procedure that we offer here at our expert clinic. Everyone’s favourite actor Tom Hanks has always had a fairly high hairline but in recent years, it does appear to have become a little thicker and healthier at the front, whilst the sides have continued to recede. It’s because of this that it’s rumoured that he had a slight touch up by way of a hair transplant at the front of his scalp. Like with John Travolta, we can’t say for sure, and really, if they want to keep it a secret, then who are we to speculate. But we can say with certainty that if either of you have, then guys, it was a fantastic job! 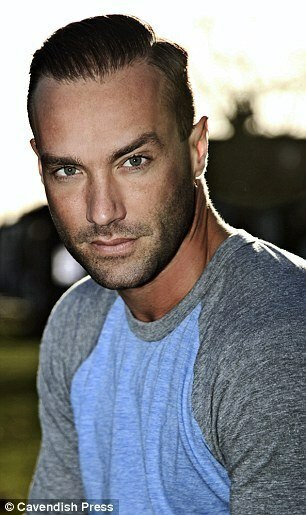 We also salute model, TV presenter and actor Calum Best, who has had three hair transplants since 2012. He’s been quoted as saying that his procedures have changed his life by giving him confidence and allowing him to go for jobs and roles he might not have done. He said, “the difference in my self-esteem is immeasurable”. Calum, like Wayne, had the FUE (Follicular Unit Extraction) method of hair transplantation. This is the method we use here at the DK Hair Klinik. It’s less invasive, has a quicker recovery, causes little to no scarring and is seen as the premier hair transplant option, over the older FUT (Follicular Unit Transplantation), or ‘strip’ method. He’s also admitted that he cares less what people think of him as he’s grown older. And that’s why he’s been so honest about his decision to have the procedure done three times. Your hair, your decision, Calum! 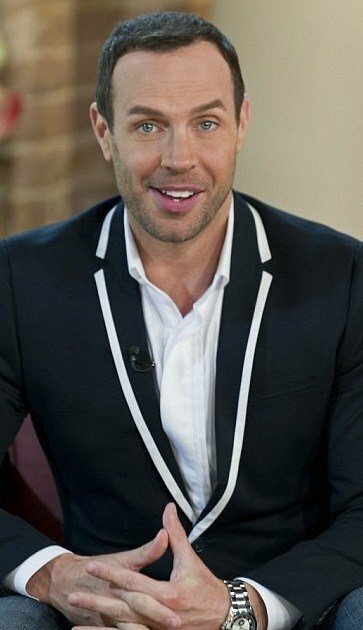 If you’re a fan of British TV programme Dancing on Ice, then you’ll know judge Jason Gardiner. His hair transplant is perhaps one of the most striking of scalp transformations, going from a completely shaved head to disguise his level of balding, to a luscious head of dark hair today. Jason has been very open about the procedure, and how is balding made him feel. He’s compared the tingling sensation over his entire scalp as his transplanted hair began to grow back to winning the lottery, and says he genuinely couldn’t be happier. Fashion commentator Jason began to lose his hair at 32 years old and when it began, it wasn’t long before it was noticeable. He felt unattractive and sought every lotion and potion possible to help, but nothing did. He even tried a thin ‘swimming cap’ of hair closely matched to his own that gets glued to the scalp. But sadly, this caused an infection within a couple of days that was agony. It was a few years later that he decided on the hair transplant that changed his life. Good on you, Jason! Another TV talent show judge, this time from the X Factor, Louis Walsh, revealed in 2011 that he too has had a hair transplant. And he might be older than some of the stars we’ve mentioned here (Louis is in his 60s and was 59 when he took the plunge) but that by no means meant that he was going to accept losing his hair. Legend has it, that supremo of the X Factor, a certain Simon Cowell, known for his full head of hair, told Louis he was losing his hair. After a few denials, Louis then decided to have hair transplant surgery once he saw the back of his head on high definition TV. 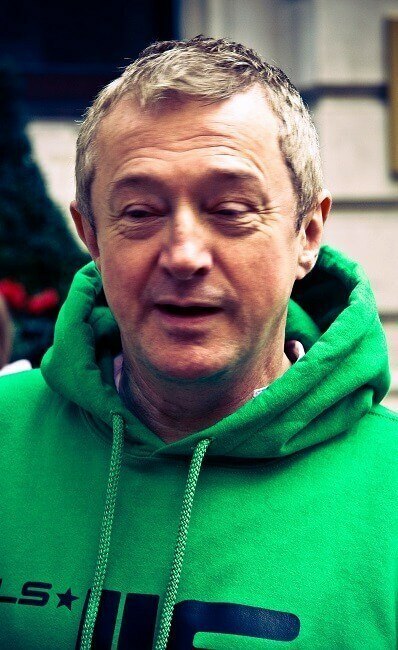 He’s even joked that it was just a bit of ‘maintenance’ and that he did it in order to keep his job on the X Factor! Whatever his reasons, we think he looks great. 90s pin up, actor, singer and now radio DJ Jason Donovan admitted on a talk show in 2012 that he’d had a hair transplant. He said at the time that he’d done it for himself and for no other reason, and that he’d never felt the need to publicise his decision. But, grilled by TV talk show host Piers Morgan, Jason admitted, in is own words, to “doing a Rooney”. And we think anyone who normalises this procedure and helps to remove the stigma of taking steps to solve baldness needs to be celebrated. Another question mark hangs over that of U2 singer, Bono. 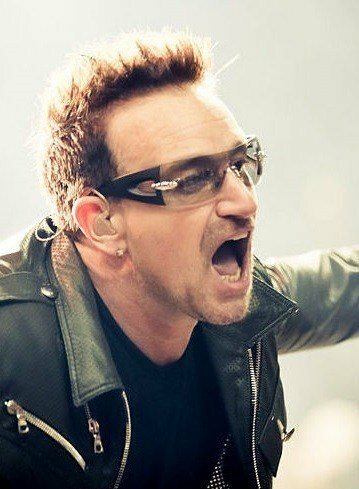 Bono, with his colourful glasses and all-leather looks has always had a style of his own and his hair has always been a part of that. The jury is well and truly out on this one however. Some say that Bono has most definitely had a hair transplant. Whilst others say that photos of the Irish rockstar on stage with sweaty hair just makes it look like he’s balding (similar to how cornrows might do the same by showing areas of scalp) compared to other pictures when he’s offstage and looking more hirsute. 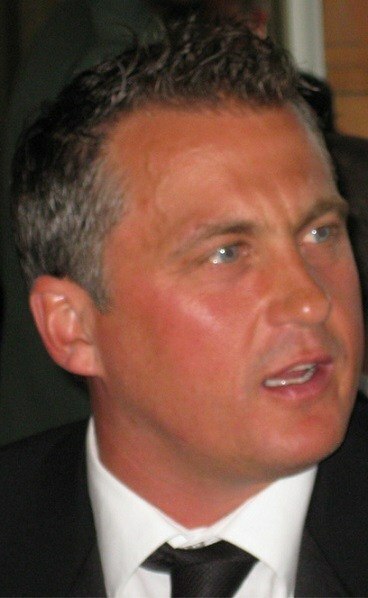 Cricketer Darren Gough is an advocate and ambassador for hair loss surgery. He’s been quoted as saying that his procedure was entirely painless, didn’t disrupt is lifestyle and that the final result was totally undetectable. His before and after pictures show incredible results from FUE hair transplantation and he says he was inspired by fellow cricketer Shane Warne who has also had hair restoration procedures. 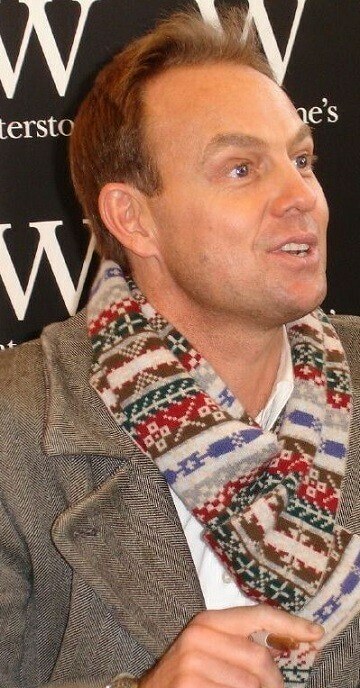 He’s said in the past that as ‘Warnie’ is older than him, he just had to follow suit! 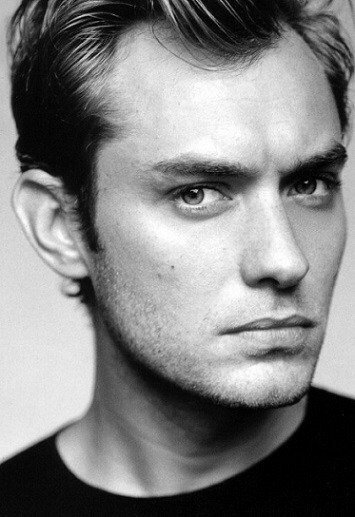 Finally, no list of men who have had (or are rumoured to have had) a hair transplant procedure is complete without a look at Jude Law’s hair. The actor, like many, has been under a lot of scrutiny since being photographed with a short crop of hair receding at the front and sides in 2013 and then looking far more ‘full haired’ in 2014. The actor hasn’t spoken publicly about whether or not he has, but his ‘new hair’ could simply be put down to longer hair and some clever styling. But, Jude, if you do ever fancy looking into a hair transplant, we’d be happy to help! All these Hollywood, sports and music stars are all different – they’re from different backgrounds, different eras and were all different ages when they had hair transplantation surgery. But one thing they all had in common was male pattern baldness (except maybe Robbie Williams!) and wanted to do something about it. Wigs, scarves, hats, sprays and medications can all help hair loss, but a hair transplant is the best option for fuss free, get up and go hair (and of course all that styling you’ll want to do once your new hair starts to grow). And a hair transplant is now accessible to more than just movie stars. If you’re starting to lose your hair and you’re thinking about a hair transplant, then complete our free online consultation to see what our expert hair surgeons here at the DK Hair Klinik in Antalya could do for you. Like many of our stars in our hair transplant hall of fame, it may just change your life. « Your Hair Transplant Has Gone Wrong. What Next?